J Vineyards sports an ambitiously schizophrenic line-up of fine beverages ranging from elegant bubbles to complex table wine to the delectable pear liqueur. The space-age green bottles are as inspired as the liquid refreshments that they contain, and upon entering the equally space-age tasting room at the winery in Sonoma County’s Healdsburg, it is clear that these people mean business. I can’t think of a winery that can match J’s diversity and quality of wines. Most don’t even try because it is expensive and difficult to do. 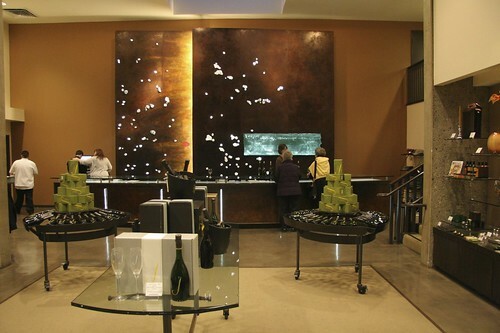 This diversity, combined with the winery’s eye for design, offers drinkers a unique and exceptional wine experience. J Vineyards’ Ron Clark philosophizing about why J Vineyards is so incredible with the Wine Mutineer. No one could foresee the perfect storm of wit and poorly timed jokes that would ensue when J’s hospitality sage Ron Clark and the Wine Mutineer would embark on a tasting as ambitious as J’s wine catalogue. J produces a full line-up of sparkling wines, with six bottlings ranging from the $28 J Cuvée 20 Brut to $115 for the 1998 J RRV Vintage Brut, Late-Disgorged which are all made using Methode Champenoise. What the @#$%^ is methode champenoise? Quite simply, it is a method of making sparkling wine. You see, to make sparkling wine, there are two main ways to get the bubbles in the bottle. The cheaper and less awesome of the two methods is the ‘charmat’ method, which means that secondary fermentation (how bubbles are created) takes place in a large tank. The method that J Vineyards and all of the best sparkling producers use is ‘methode champenoise’, which means that secondary fermentation (how bubbles are created) takes place in individual bottles. If this sounds ridiculously tedious, that is because it is. It is also very expensive. The gyropalattes of J Vineyards, which rotate bottles in such a way that the spent yeast makes it way into the neck of the bottle. “Our owner Judy started this company back in 1987 and went right into methode champenoise; she goes right into sparkling, which is a very rare business plan, because if you have ambitions and your life’s wish is to make great bubbly, you typically start with nice sauvignon blanc or pinot gris, get it out to market and get the money back for a few years and then you start your little methode champenoise thing on the side and grow it from there while you have something to pay the bills. NAHHHHHH, our owner decides to only make methode champenoise, so she gets a building, buys some grapes, hires some people, puts all the money out, and gets nothing back from the ’87 harvest year, and the same story for ’88, ’89, ’90. In 1991, the first sparking hits the streets, so that was the first year she got a nickel back on her investment. 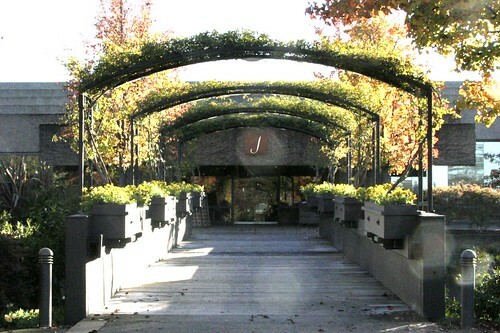 In the late ‘90’s, J Vineyards got into the still wine racket, and today makes a line-up of still wines that is quite diverse within itself, including the obvious pinot noir and chardonnay and the not so obvious Viognier and pinotage. Of all of J Vineyards’ still wines, the one I have a weakness for is the pinot gris, which is reminiscent of great pinot gris from the Alsace region of France. To round things out, J offers a Ratafia dessert wine and ridiculously awesome pear liqueur, both of which are very unique beverages. The Ratafia is a combination of unfermented grape juice and eau de vie (brandy), which is then aged to neutral French oak. 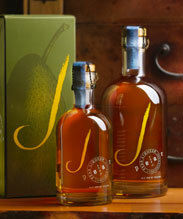 The J Vineyards pear liqueur is a whole other ballgame, and one of the finest liqueurs I’ve ever had. A liqueur is a distillate with sugar and other flavors added. Think Amaretto, Grand Marnier, or Cointreau. The way the J pear liqueur is made is by taking the distillate of Bartlett pears that have been aged for ten years and adding distilled water and sugar to lower the alcohol from 50% to 30%. The result is a balanced, complex, delicious liqueur that is perfect to enjoy during winter months. Yet another great write up … thanks! I actually purchased the Pear Brandy on my last visit to J not really knowing what to suspect. Wow was I surprised, the pear is so pronounced yet the lower alcohol content than regular brandy makes it so drinkable and so delicious. I’m glad you reminded me of the experience, I will have to buy more before it is all gone. Wow, I had no idea j did so many wines. I’ve had their sparkling wine several times and always really enjoy it, I’ll keep my eyes open for the pinot gris. 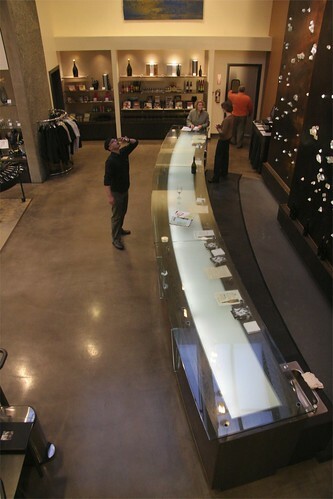 I wouldn’t mind spending a day at the J Signature Bar – looks awesome!! The pear brandy is pretty awesome, my bottle is officially gone. I wish I was a Cognac or Scotch drinker, but alas I am not, and sipping the pear brandy out of a rocks glass makes me feel like I belong to that distinguished breed of gentlemen. 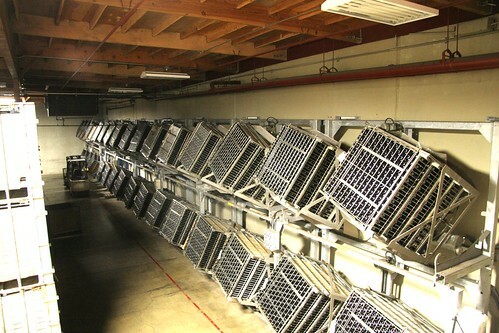 Very Nice writeup- I used to be a Winemaker there- left in 2007. The Pear was a fun project and I love the product. Makes me want to try it!